Carmen Muñoz – hand-painted ceramics offer one-off and bespoke works of art to uniquely decorate every table. Their inspiration comes from their surroundings, art, nature, the cinema and literature. With a passion for painting and well-decorated tables Carmen and her daughter Gabriela produce gorgeous, unique, high-quality sort-after pieces that are sold world-wide but Made in Spain. 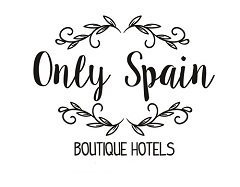 Their passion and training stems from various cultures Japenese, Venezuelan, Moroccan and South African but they are Spanish and their works can be seen in their shop which is also their workshop in Madrid. See their workspace and buy individual pieces or sets or order your bespoke dinner service or piece on a personal visit. The Japones philosophy and love of well-made items is one that rubbed off on them during their time in Japan. Each of their pieces takes hours of design and painting, not forgetting the emotion and satifaction of their final product. Choose from their collection of designs or work with them to design your own personal dinner service, uniquely for you.